Self-hypnosis audio material on a particular subject like: ‘The Law of Attraction’, ‘Improve Your Self-esteem’ and so forth, is useful. Self-hypnosis targeted to your own needs, the subject of this book, is far more valuable. Make your own self-hypnosis material that is far more effective and available. Some people think they can permanently change their personality without dealing with their subconscious. Over 90% of our brain activity and reactive behaviour is driven by our subconscious. Surely, the subconscious needs to be addressed to make the changes you want. This book deals with common issues that most people face. It suggests improvements we all want to make. It contains inspirational quotes and affirmations. It teaches visualisation and self-hypnosis to overcome most unwanted personality traits. 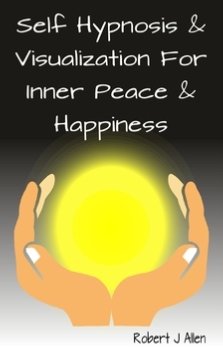 Afterwards, you will find inner peace, greater happiness, grow your self-esteem, become naturally mindful and so on. These changes will become long lasting and natural.The book shows how everybody can make changes that really work.